A substantial proportion of all domestic aviation accidents and fatalities that occur each year involve general aviation (GA), which includes all aviation except commercial and military. Under federal law, the Secretary of Transportation is responsible for ensuring that commercial air carriers carry liability insurance. However, no such federal requirements exist for GA aircraft owners. In some cases, accidents involving uninsured or underinsured GA aircraft owners have occurred where individuals (passengers or third parties) who incurred losses received little or no compensation. 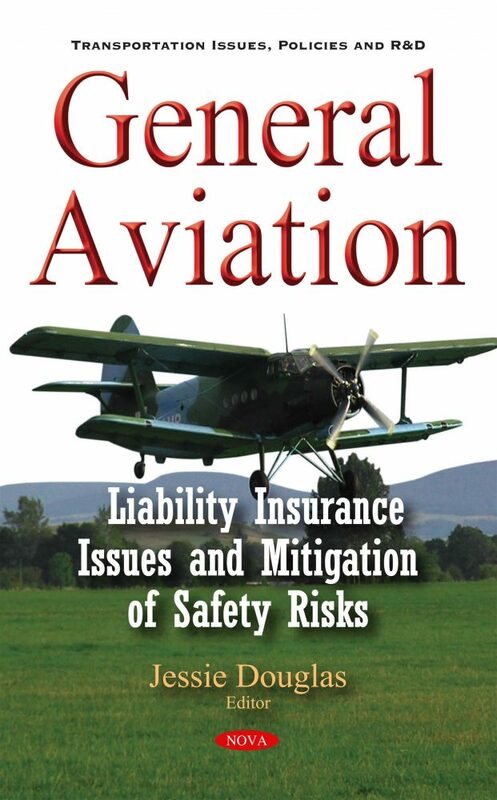 This book examines existing liability insurance requirements for GA aircraft owners; premiums for GA liability insurance; and factors that selected stakeholders cited which should be considered in determining whether to adopt a federal liability insurance requirement. Furthermore, this book discusses the characteristics of and trends in general aviation accidents from 1999 through 2011; and recent actions taken by the Federal Aviation Administration (FAA) to improve general aviation safety.